I find inspiration for my quilts from all over the place. Sometimes they start with a pile of fabrics I like. Sometimes they start with a sketch. And sometimes I get a customer that starts me off with a paint color. 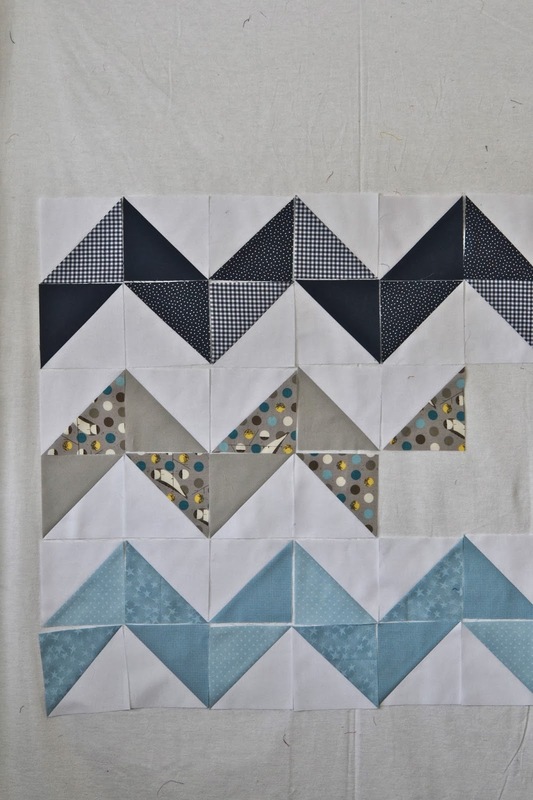 This baby quilt started with a paint chip - Sherwin Williams Sleepy Blue. The nursery color scheme is navy, grey, baby blue and white. 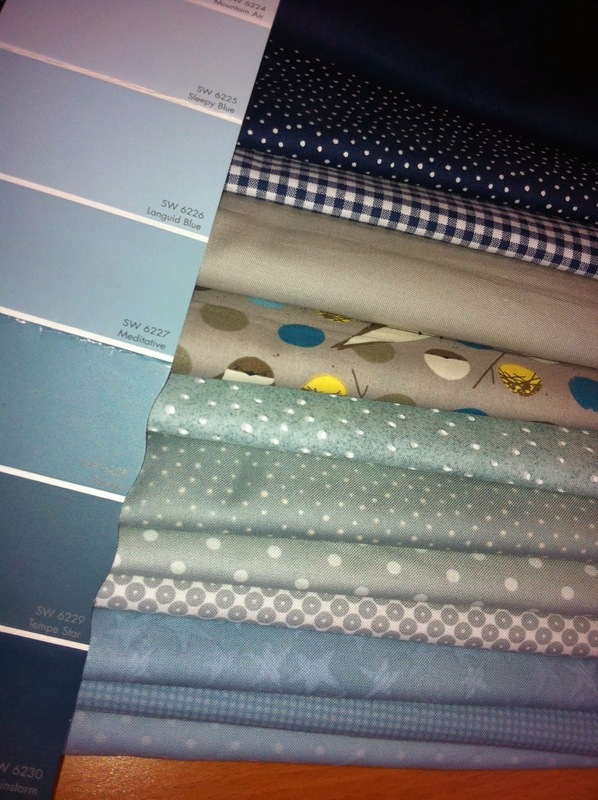 A range of blue, grey and navy fabrics. The first thing I do is go through my fabrics on hand to see if I have anything. If not, I get to have a trip to the fabric store to look for something that will work. Then between a few online conversations with my customer, we decide on which fabrics to include and which we won't. Then, it's a little cutting and a little sewing and blocks start going up on my design wall to be played with. I love this part where I'm playing with color and fabric placement and trying to find a design that will be just the right combination. You will have to wait to see what this quilt finally looks like! In the meantime, I'm having fun in my sewing room! This will be so pretty when done. Love the color choices and fabrics! Great colour choices for the nursery!